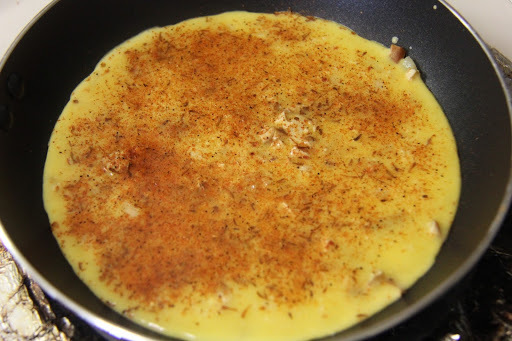 My husband loves Eggs, so I give him an omelet every morning along with cereal. 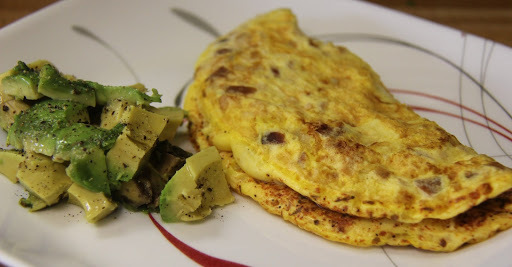 I make different variations of eggs for him to not feel bored of his daily omelet.I use an egg substitute or egg white to avoid the cholesterol in eggs daily. 1.Take a pan, spray some oil. 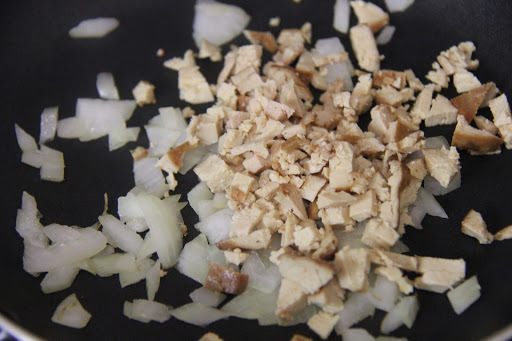 Sauté onions and Tofu for 1 minute on medium flame,Add salt. 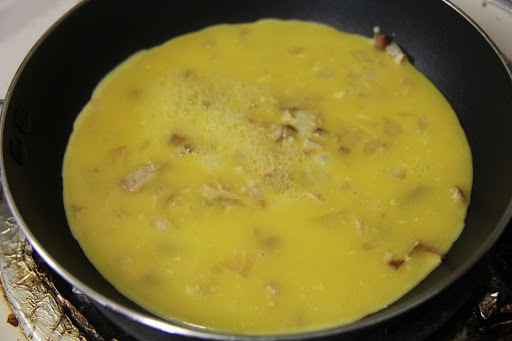 2.Pour the beaten eggs on top of the onion and tofu. 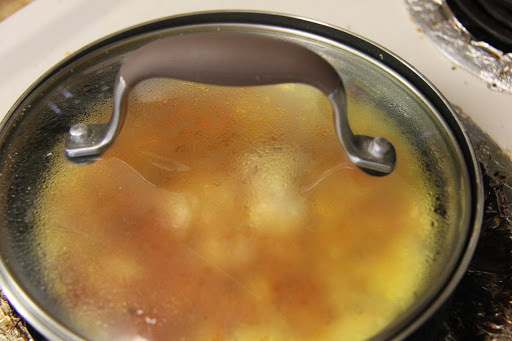 4.Cover with lid until all the egg is softly cooked(about 1-2 minutes). 5.Remove Lid and garnish with cilantro and gently fold it in half to serve. Serve with Avocado on the side. Dice the avocado, sprinkle with salt and pepper and a dash of lemon juice. 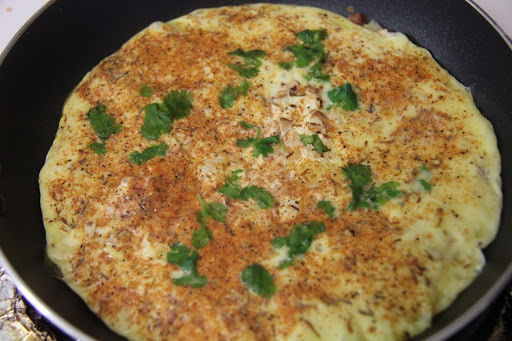 Do not overcook the eggs, they will harden and lose the taste. Covering your omelet with lid give you a moist omelet.